The history of automobiles has been one of providing people with not just a means of transportation, but a means of independence and a certain type of lifestyle. They enabled the growth of suburban developments. Automobiles very quickly became not just a means of transportation – they became a personal statement, and a reflection of each individual’s personality. They became a home away from home, a status symbol, an extension of one’s sense of style. Even before innovations like self-diagnosing apps, parking assist and GPS-based directions came into being, the trend towards the loss of automotive style was evident. In the 1950s and 1960s, car designers took great strides in making each make and model distinctive in appearance, with the Caddy’s huge tailfins, the distinctive taillight bank of the ’63 Chevy, and the modernistic “bullet-nose” style of the Studebaker Commander, now best known as the car driven by Kermit in The Muppet Movie. What happened? Did automotive designers just give up? Almost every car in the market has a similar silhouette. It’s not because designers are lazy, it’s because of aerodynamics and fuel economy. Those massive tailfins made a car look fast, but in reality, the ’59 DeVille was not an aerodynamically-designed car and it suffered from abysmal gas mileage. 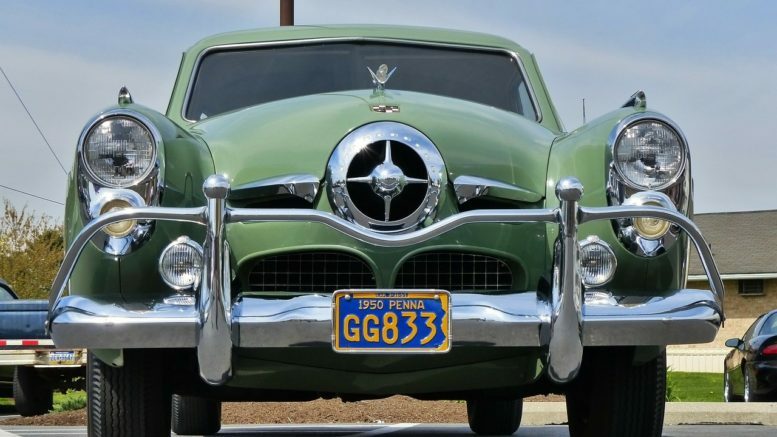 The folks over at Studebaker decided that shaping the front end of a car like a rocket would somehow make it seem faster, but the Commander V8 weighed in at about 85 horsepower, which is quite weak by today’s standards. John Ellis, former global technologist for Ford’s connected car business unit and advisory board member for AutoMobility LA, is author of the futuristic book, “The Zero Dollar Car,” which takes an insightful look at the future of automobiles, and how big data will impact the future of the industry. In the book, John notes that the data collected through Internet of Things devices – including cars – are more valuable than the “thing” itself. As a result, there is tremendous potential for changing the entire model of how cars are bought, sold, and used – and that the cost of owning a car could decrease significantly, as consumers become more accustomed to and willing to trade information about their usage patterns in exchange for lowered costs. Already, we are seeing the auto insurance industry using sensors to roll out a usage-based fee scheme. It is common for everything from apps to media publications to be supported by advertisements, automobiles could be the next frontier of the “freemium” model – get a free car, trade your data and see advertisements on the control panel. Most drivers do not need their cars for most of the day – widespread “singleton” car ownership may well be a thing of the past, and another potential element of the “zero dollar car” is moving cars into the sharing economy. Companies which manufacture connected products are already recognizing the value of the data they can collect from their customers, and the potential to monetize that data. Companies that do not get on board with this trend will be left behind. Maintenance costs will continue to decrease, as the future holds the potential for innovations like 3D printing of car parts on-demand, and more sophisticated diagnostics which would allow the car to “know” when it is in need of repair, schedule its own appointments at the repair shop, and send the shop a detailed report of what is needed. Self-driving cars would even allow the car to drive itself into the repair shop, and then return home once the repairs have been completed. With cars being available on a low-cost subscription basis, subsidized by data collection and advertisements, and maintenance costs dramatically lowering, the long-term cost of car ownership is likely to decrease significantly as the auto industry continues to embrace connectivity and the Internet of Things.